Complexities exist within our variable snowpack. The latest storm brought with it extreme winds, dense wet snow & rain to many locations. Upon visual inspection a savvy traveler can see the evidence of avalanches very large in size(R3.5D3). Gullies & terrain traps are filled with debris, while cornices & crowns can be seen all over the BWRA. There is a deep water hazard on Hwy 108 near the climbing wall & campground, with a fairly sketchy detour. We Need Public Observations, please! The strong SW winds have deteriorated & transported most powder snow accumulations. The prevailing W-SW-S winds will continue to load E-NE-N aspects in dramatic fashion. These leeward slopes are holding the thickest snow depths, some are found to be over 300cm (118"). Some slopes above treeline look like wavy sand dunes in texture with billowing shapes on roll-over convexities. Gusts yesterday near 50 mph at ridgeline have formed long sensitive Wind slabs that could fail with the added weight of a traveler & their entourage. The elusive Deep slab avalanche problem has been showing itself with last weeks storm & more noticably with the latest precipitation. Wind slabs that are releasing can potentially step-down into older buried weak layers where cohesionless persistent grains linger. 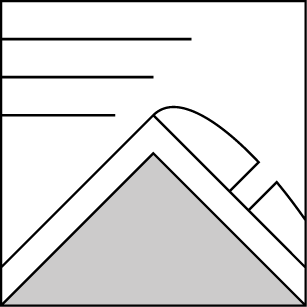 Although isolated, as a slab avalanche runs over an area where another deep slab has a thin spot, that action could trigger deep pockets of snow to release. As seen in the "Leavitt Region" & "Sonora Pass Avalanche" observation photos. 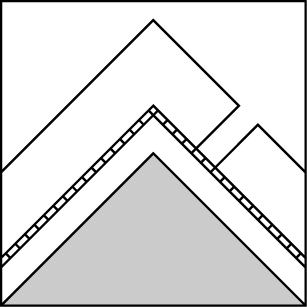 Cornices are large & tender in the BWRA. 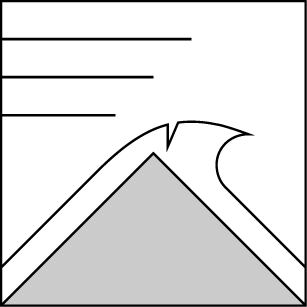 We will commonly see cornices that fall trigger slab avalanches that propigate across a starting zone. We see cornice fall activity days after a storm & especially during periods of rapid warming & wind loading. A complex array of avalanche problems encompass our hazard for the next few days. Lots of dense wet snow & rain fell with strong to extreme winds in the BWRA for a few days. Accumulations are unsettled, in constant transport, & readily forming slabs that are sensitive will avalanche with the right mechanism. The growing snowpack on lee aspects will continue throughout today & increase instability. Deep slab potentials are hiding within the variable snowpack, some as deep as 13'. Rain has seriously effected riding quality at nearly all elevations. A cool clear morning will give way to partly cloudy skies & afternoon snow showers. Winds will be less dramatic today out of the SW 15 to 25 mph; gusts to 40 mph. A diurnal refreeze has taken effect overnight. This lock-up will create icy conditions early & make wind slabs tender. No major accumulations expected with the orographic lift today & tomorrow. The precipitation that does fall may be in the form of ice chips or hard rain at lower elevations. Warm springlike conditions will engulf our weather pattern from Tuesday on into the weekend. Weather: Sunny then increasing clouds with scattered snow showers. Partly cloudy with scattered snow showers. Partly cloudy with isolated snow sowers. Temperatures: 26 to 34 deg. F. 9 to 15 deg. F. 24 to 30 deg. F.
Expected snowfall: 1 in. 2 in. 0 in. Weather: Partly cloudy with scattered snow showers. Mostly cloudy decreasing to partly cloudy with scattered snow showers. Partly cloudy with isolated snow showers. Temperatures: 20 to 26 deg. F. 3 to 8 deg. F. 16 to 22 deg. F.